Wine country is beautiful in the fall, when harvest is taking place and the colors from the changing leaves paint the landscape. But winter can be just as magical on Long Island’s North Fork, where many wineries stay open year-round. If you’re considering a holiday weekend on the North Fork, there are plenty of great restaurants to dine at when you’re in between tasting tours. And February, when the crowds are light, just may be the best time of year to visit them. At Southold’s North Fork Table & Inn, a charming colonial with four staterooms and an elegant dining room, Chef Stephan Bogardus serves up some of Long Island’s most enviable cuisine. Chef Bogardus has run the kitchen since the death of Chef-Owner Gerry Hayden in 2015. The restaurant’s tasting menu is sophisticated and complex, reflecting a high level of skill and a dedication to local produce and protein. And while it may be challenging to snag a table at this institution in summer or fall, in February it’s far easier, and you will definitely want to take advantage (the seared tuna with foie gras is an impossibly perfect dish). In Greenport, Robbie Beaver’s Frisky Oyster serves up inventive, locally sourced cuisine, with an ever-changing menu that reflects the season. 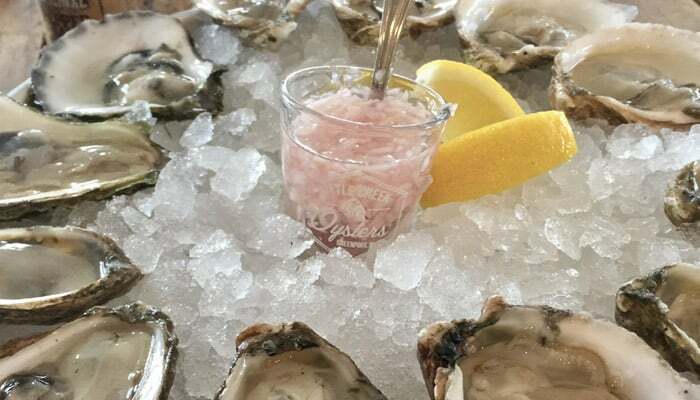 Enjoy oysters on the half-shell with a coconut mignonette, a Crescent Farms duck breast with creamy garlic polenta, and a North Fork oyster chowder, as well as any number of Long Island wines—including a steady rotation of wines on tap. 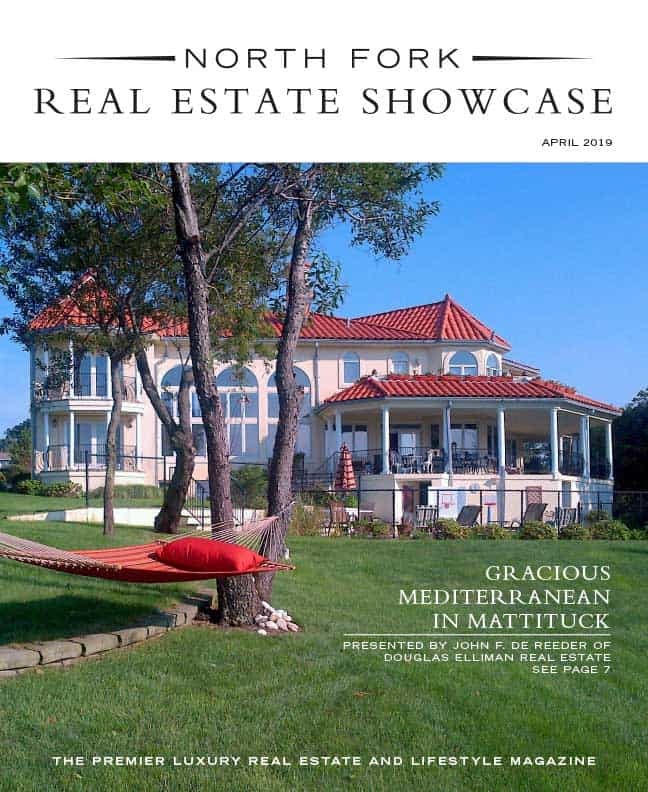 If you happen to find yourself at Macari Vineyards, the sprawling, 500-acre property owned by Mattituck’s Macari family, you would be remiss to skip out on the superlative pizza served by Avelino, the food truck parked in the winery’s back yard. Pizzas are fired in a 900-degree oven specially built for the truck—which was fashioned from an old shipping container. And while you can stay and eat the pies (you will need more than one, since a pie is enough for one moderately hungry adult), you can also ask for a box and get yours to go. Another staggeringly good pizza option is 1943 Pizza Bar, in Greenport, where a small courtyard leads to an intimate dining space. 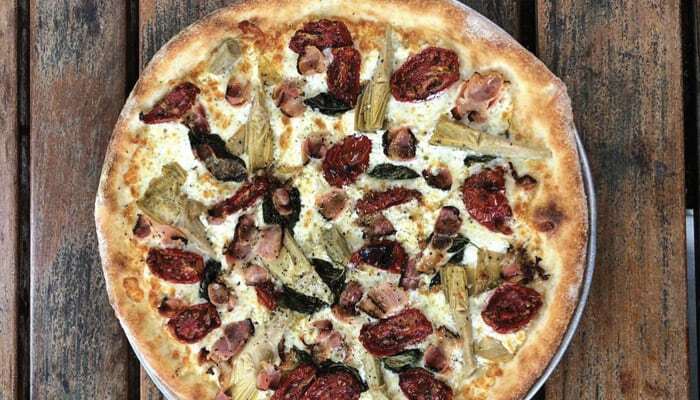 This is particularly fine pizza—pizza worth traveling for. Also in Greenport, Taylor and Katelyn Knapp have created PawPaw, a pop-up restaurant operating out of the Bruce & Sons space on select Saturday evenings. The 8 to 10 course menu showcases Long Island’s finest foods. Menus typically include a tea course, as well as a coffee course and dessert. 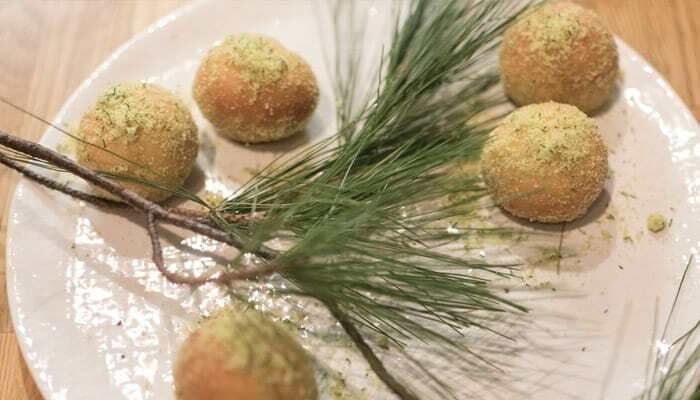 And all of the courses reflect the bounty of Long Island, like the smoked celery root hushpuppy with horseradish and lovage, or the monkfish with nasturtium, Brussels sprouts, and pumpkin seeds. Dates are announced for the restaurant a few months in advance and reservations are required. The restaurant serves local wine pairings with their courses as well. So pack your bags and plan for a weekend on the North Fork. The beaches may be far from warm, but the restaurants will keep you cozy in the meantime.